OceanWise is attending and exhibiting at the 1st Session of the IHO Assembly, to be held at the Auditorium Rainier III – Monaco on 24-28 April 2017. This inaugural event, which replaces the IHO International Conferences will be held every three years in future. It brings together IHO Member States from around the World, International Bodies such as the International Maritime Organisation (IMO) and Intergovernmental Oceanographic Commission (IOC), Industry Partners and Maritime related Membership bodies for a four day conference discussing and debating relevant hydrographic and navigational matters of interest. In addition there will be both a Member States’ and Industry Exhibition entitled ‘From data collection to hydrographic products and services’. 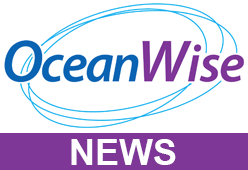 OceanWise act as an Expert Contributor to the IHO on Marine Data Management and Marine Spatial Data Infrastructures (MSDI matters) and provides Capacity Building Training and Mentoring on Data Management to the IHO through its Regional Hydrographic Commissions. It is also a founding member of the IHO MSDI Working Group and provides the Secretariat for that group.